I’m thinking a lot about what it means to be a woman in leadership. A woman entrepreneur. A woman who is breaking old systems down, encountering resistance while doing so, and building new ways of interacting, sharing and being. These lessons have even more importance now that I am expecting my second daughter in August. Throughout this pregnancy, I’ve been reminded of the challenges women experience in a society that, largely, does not support women entrepreneurs. 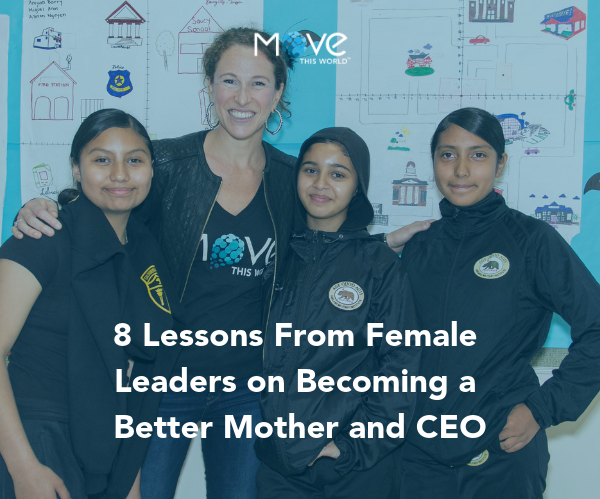 While fundraising, I encountered many men who openly questioned my ability to be a mother, an entrepreneur and a CEO, despite my 12-year track record leading this organization. I was talked down to, talked-over, and quieted as insignificant despite the value I was bringing to their investment firm. I presented at conferences where I deemed it necessary to buy new clothes to cover and hide my changing body. This article was originally published by EdWeek Market Brief on March 29th, 2019.